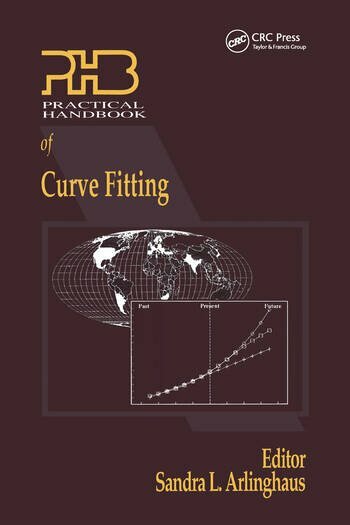 Practical Handbook of Curve Fitting is a reference work assembled by Arlinghaus and a set of editors with well over a century of combined experience in various disciplines and activities related to curve fitting. 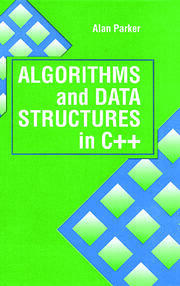 The book demonstrates how to analyze World data bases and graph and map the results. Default settings in software packages can produce attractive graphs of data imported into the software. Often, however, the default graph has no equation associated with it and cannot therefore be used as a tool for further analysis or projection of the data. The same software can often be used to generate curves from equations. The reader is shown directly, and in a series of steps, how to fit curves to data using Lotus 1-2-3. 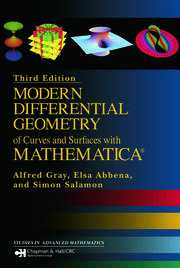 There are traditional unbounded curve fitting techniques-lines of least squares, exponentials, logistic curves, and Gompertz curves. There is the bounded curve fitting technique of cubic spline interpolation. Beyond these, there is a detailed application of Feigenbaum's graphical analysis from chaos theory, and there is a hint as to how fractal geometry might come into play. Curve fitting algorithms take on new life when they are actually used on real-world data. They are used in numerous worked examples drawn from electronic data bases of public domain information from the Stars data base of The World Bank and from the WRD data base of the World Resources Institute. The applications are current and reflect a state-of-the-art interest in the human dimensions of global change. Introduction: Theoretical Background. Population Data Analysis: Straight Line Curve-Fitting-Least Squares. Exponential Curve-Fitting. Exponential Curve-Fitting with a Lower Bound. Logistic Curve-Fitting. Gompertz Curve-Fitting. Epidemiology Data Analysis: Consistent Database Construction. Mapping of Data. Straight Line Curve-Fitting-Least Squares. Root Mean Square Error. Agriculture Data Analysis: Linear Fitting-Bounded. Bar Charts. Default Computer Curves. Linear Fitting-Unbounded; Simple Use of Least Squares. Exponential Fitting-Unbounded. Extrapolation of Fitted Curves: Prediction. Biodiversity Data Analysis: Dot Maps. Equal-Area Map Projection. Geographic Information Systems. Map Overlays. Feigenbaum's Graphical Analysis. Soils and Forestry Data Analysis: Simple Cubic Spline Curve Fitting. Interpolation Using a Cubic Spline. Feigenbaum's Graphical Analysis. Education Data Analysis: Straight Line Curve-Fitting-Least Squares. Residual Plots. Root Mean Square Error. Transportation and Communication Data Analysis: Historical Maps. Space-Filling Measured by Density. Rank-Ordering. Fitting Maps to Empirical Curves. Environmental Toxicity Data Analysis: Straight Line Curve-Fitting-Least Squares. Fitting Curves to Maps. Urbanization Data Analysis: Straight Line Curve-Fitting-Least Squares. Partitioning of Data: Scale Transformation. Residual Plots. Examination and Removal of Outliers. World Trade Data Analysis: Set-Theoretic Analysis of Numerical Structure of Data. Partitioning of Data. Organization Techniques. Geometric Self-Similarity. Index of Figure Captions and Table Titles.